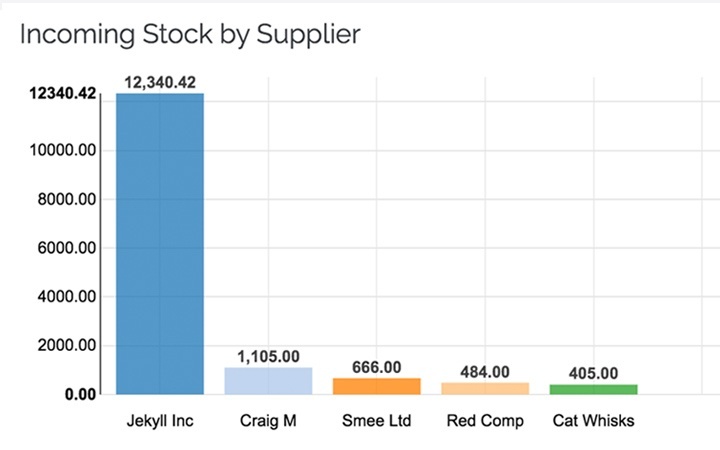 Improve inventory management by accessing inventory reports for accurate real time insights into stock movement. 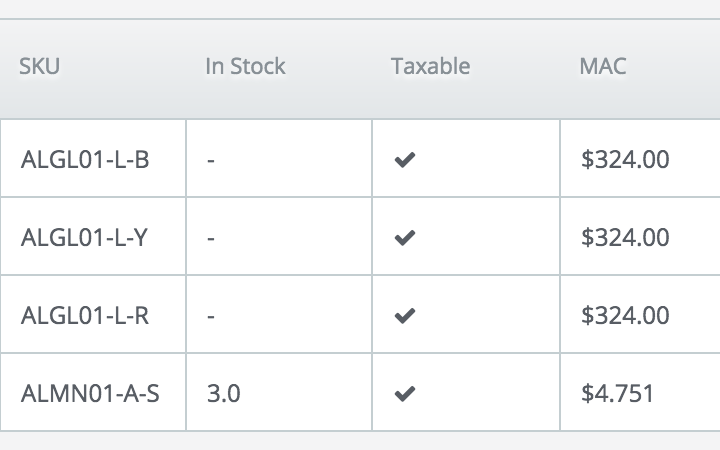 Start tracking your cost of goods sold, avoid overselling and underselling, and even create custom reports. 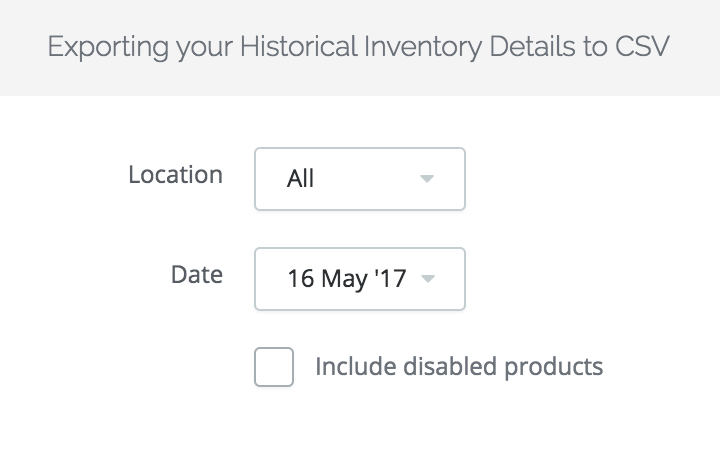 Get a detailed overview of your inventory with a list of all the products and variants that you have in stock, as well as a list of items that are out of stock. 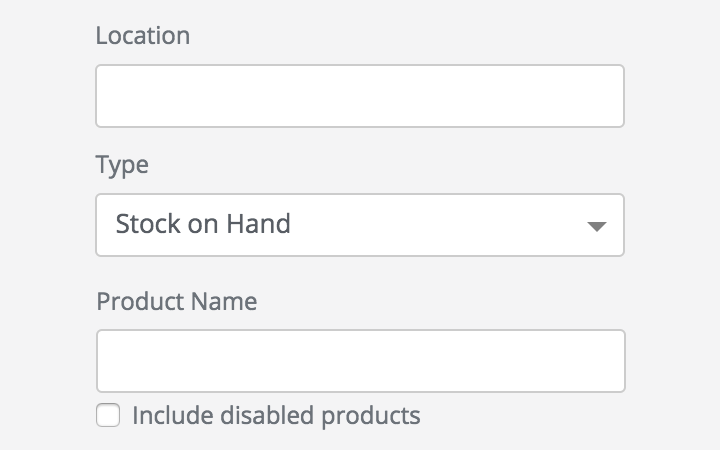 See the current stock levels you have on hand, the amount of stock committed to sales orders, and the stock that’s available. Compare the stock you have in different storage locations. 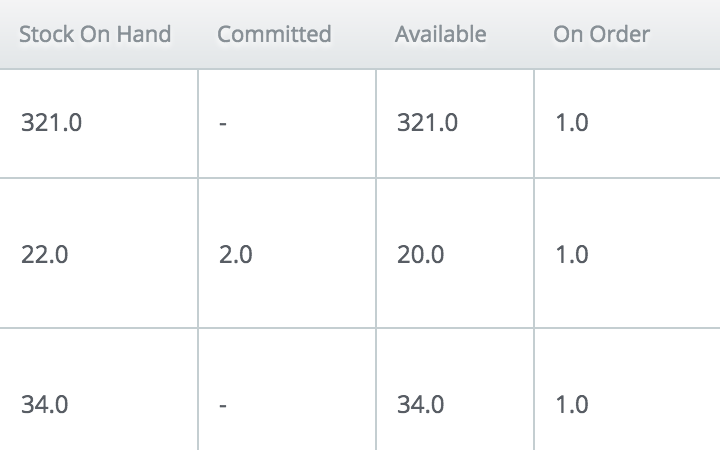 Manage your stock and backorders with the reorder report. 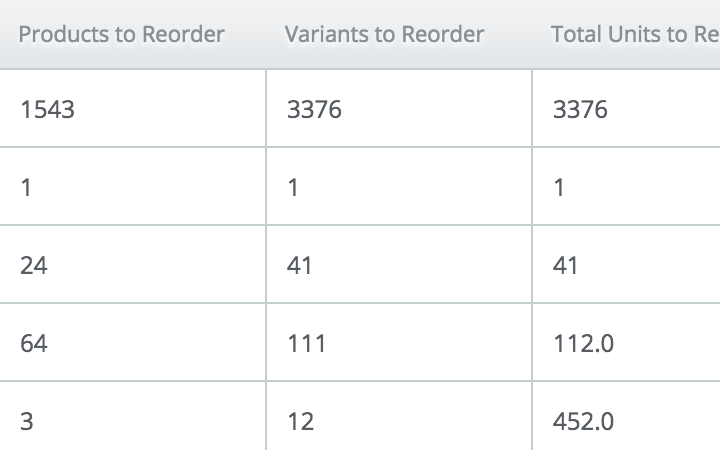 See all variants that have fallen below the reorder point and variants with negative stock. Get an overview of what you’ll receive from your current purchase orders. 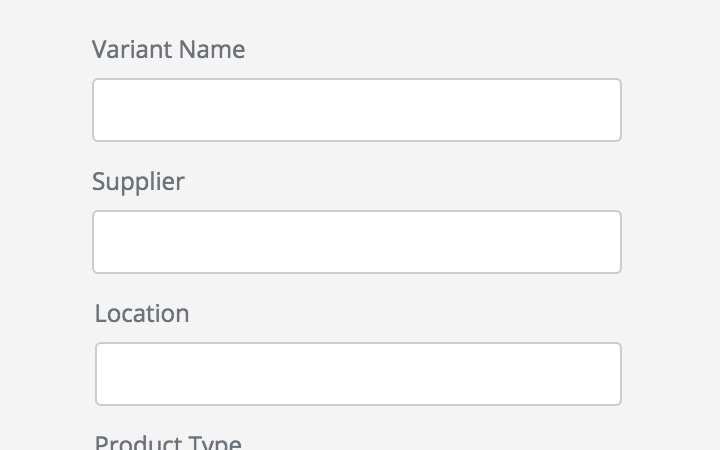 Filter these by supplier, variant, date range, and location. Export your stock levels and moving average cost for each variant at any point in history.